Re: VIII - Palmistry books TOP 100 - listed by 'Amazon Sales Rank'! Now I will soon be able to present a TOP 100 update, which will for the very first time be featured with indicative numbers for the amount of examplars that have been sold (for each title) at Amazon.com. I think the answer to your question is 'no'. 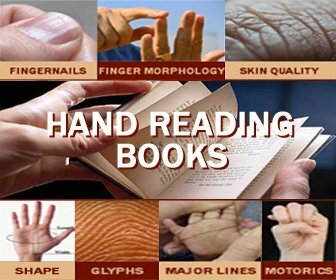 The Palmistry Books TOP 100 has been updated again, and now it is featured with a new supplemental report for each title concerning how many copies have been sold at all Amazon portals in 2011. I think it is interesting to notice that after 2 years... meanwhile the TOP 5 titles have always been featured in the TOP 5 rankings. And the success of those five books is also confirmed by new featured reports about the sold copies in 2011. Also, so far there has been little discussion/feedback regarding the works of Richard Webster's 'Palm Reading for Beginnners' and Dennis Fairchild's 'Palm Reading: A little guide to life's secrets'. Your feedback on these 2 titles is therefor very welcome! PS. Regarding my own view on these 2 titles, I prefer to make notice of the fact that both authors are 'professional authors' - who have presented quite a few book about many other topics as well. And for this reason I would not recommend anyone to buy those books - with only one exception: just for the purpose of 'literature research'. I bought " Palmistry Revolution - secret key to get along successfully" by Yasuto Nishitani a Japanese writer. This book was published by Sterling Paperbacks- New Delhi in 1994 as well as published in Japan by Tachibana Shuppan Inc.
Do you have any idea about this book and its ranking. Sorry, I never heard about the author. Regarding Japanese authors, I think Hachiro Asano is the only well-known hand reading author from Japan. Martijin for sharing information with me. Lucky you to have found a copy! One Japanese book has been no 1 in the Amazon Sales Rank. The new Palmistry books TOP 100 is in progress, and Johnny Fincham's 2nd book 'Palmistry: Apprentice to Pro in 24 Hours' has become today by far the most popular book in the field... with almost 900 copies sold via the (online) Amazon networks during the past 12 months! Congratulations to Johnny - who is also a member of this forum! NOTICE: The new rankings are for the first time not only the result of the current average 'Best Sellers Rank' (which represents a representative measure for the historical performance of a book), but also the result of many books have been sold at all departments of Amazon during the past 12 months. ... The TOP 100 update has been finished now. NOTICE: The number of books sold for each title represents the summary of all Amazon websites around the world (while the 'best sellers rank' only represents the average number at Amazon.com). This implicates that in the ranking the number of books sold (via all Amazon websites together) has now become the most important ranking-factor, and therefore the ranking has now become a more stable (+ sensible) measure of the popularity of the books! Early in 2013 I will present an update for the TOP 100 ranking. One new entry inside the TOP 10 ranking: Nathaniel Altman's 'Palmistry: The Universal Guide' (which is now also the youngest title inside the TOP 10). I just took a look at the Amazon sale numbers available for 2013 so far, and I noticed that for the very first time 2 books of one author are in the TOP 5; Johnny Fincham's books would get ranked at no.2 and no.5. So far Johnny Fincham's 2nd book has clearly continued to gain in popularity in 2013; during the past 3 months it has started competing with Richard Unger's book and Lori Reid's book for a TOP 5 position. ... Just checked whether anything has changed during the past 3 weeks, the TOP 6 ranking has not changed (Johnny Fincham's 2nd book has continued to move ahead compared to the no.4 and no.6). PS. The positions of the numbers 6-10 has not changed since the 2012 update. NOTICE: Full TOP 100 ranking update for 2013 will be presented at the end of this year; for the very first time since 2009 the TOP 10 books will remain inside the TOP 10... which likely implicates that ranking according numbers of sold books is more reliable/stable than ranking according Amazon best sellers rank! NOTICE: Full TOP 100 ranking update for 2013 will be presented at the end of this year. The Benham Book of Palmistry is presented under two titles which have been sumarized now for the first time inside the rankings... entering the TOP 10 at no.9! PS. 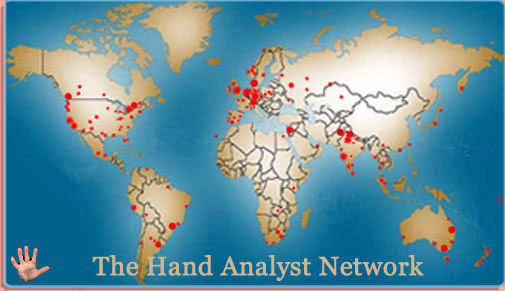 So far 29 expert voters from 14 countries have shared their votes; all hand readers are listed in the Global Palm Reading Network; most of these voters are members of this forum! 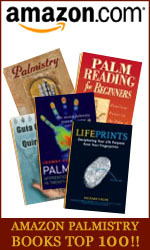 ... Looks like the 2014 update for the Palmistry books TOP 100 project might result in only 3 authors to represent the TOP 5 books - though Richard Unger's 'Lifeprints' is still just ahead of Dennis Fairchild's 'Palm Reading'. so the sellings in this Christmas season will become decisive! The 2014 update will be available at the end of this month!